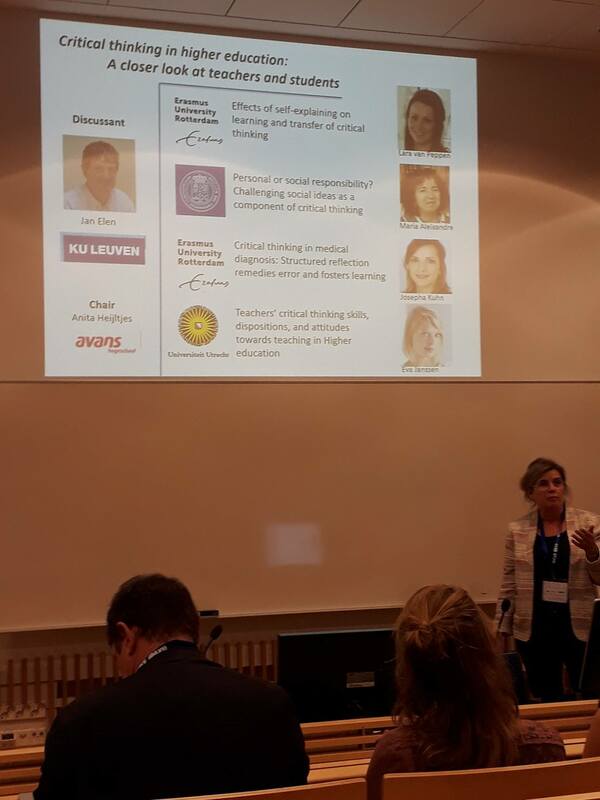 Our spanish partners from University of Santiago de Compostela have participated in the “Critical Thinking in Higher Education: A closer look at teachers and students” Symposium at the 19th Biennial EARLIConference – “Education in the Crossroads of Economy and Politics – The Role of Research in the Advancement of Public Good” (EARLI 2017). The conference was hosted by the University of Tampere, Tampere, Finland, from 29th August till 2nd September 2017. In the person of Professor María Pilar Jiménez Aleixandre, our team presented a work entitled “Personal or Social Responsibility? Challenging Social Ideas as a Component of Critical Thinking“. This symposium had an invited discussant, Professor Jan Elen from KU Leuven (also member of our team).